The company says it's completely hacker-proof, too. The security-focused Granite Phone captured the interest of even non-corporate customers when it came out in 2015. 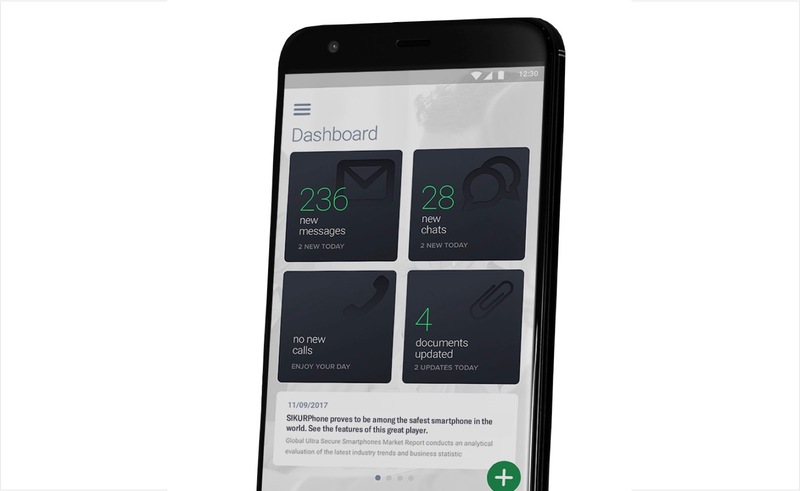 Now the folks at Sikur are back with a next-generation SIKURPhone, promising the first fully encrypted, hack-proof smartphone that can safely store cryptocurrencies. Only 20,000 units will be available for presale beginning February 27th at a promotional price of $799. The company expects to deliver them in August of this year. The phone itself has a 5.5-inch "full HD" Gorilla Glass display, 4GB of RAM, 64GB of storage, a 13MP rear and 5MP front camera and sports a 2800 mAh battery. SIKURPhone also sports fingerprint authentication, which the company claims can help recover personal data if the device gets lost or you forget your password. It runs a fork of Android, and any third-party apps must be vetted and confirmed by the company before they're available in an upcoming app store. When the original Granite Phone came out, it was essentially for security-conscious governmental and corporate users, but the device found a pretty strong foothold with everyday consumers. SIKURPhone adds a secure cryptocurrency wallet along with its secure OS, communication systems and third-party apps. "Securely storing information on our devices is one of our strong points," said CEO Cristiano Iop. "We succeeded with browser and messaging security. Then we asked, why not do it with cryptocurrency? Cryptos are stored seamlessly and securely on our cloud, without compromising safety." In November and December, Sikur hired security researchers HackerOne to try and break into the device. "SIKURPhone was subjected to rigorous hacking tests for two months," said COO Alexandre Vasconcelos in a statement. "We were delighted with the outcome. Hackers failed to gain access to any information."